after he had devoured our entire tomato plant. He was the biggest and grossest worm/caterpillar I had ever seen. And he had just eaten my tomato plant. So we did what we had to do. ran him over with our car. Just to ensure he couldn't eat any one else's tomato plants. 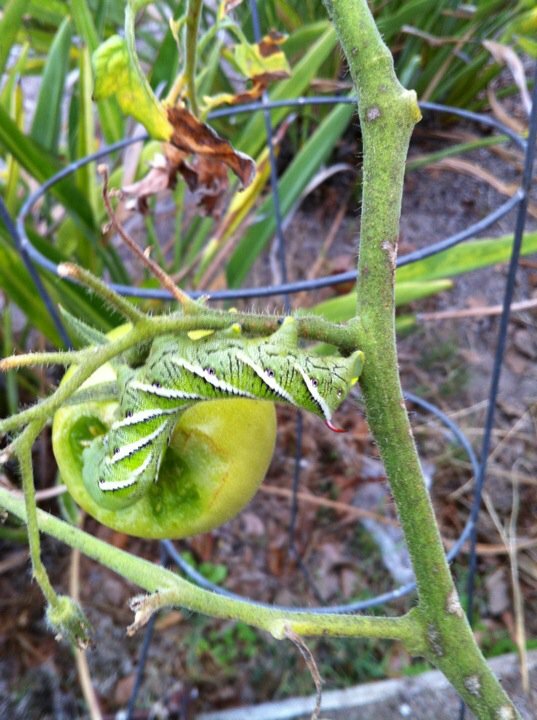 Also to serve as a warning to any other insects thinking about snacking on my garden. Don't mess with my veggies. You ran him over with your car? Are you serious?? That's crazy! Hilarious and crazy. Sarah, it was more funny than crazy. It was convenient that stepping on it and squashing it all in my shoe!